Panasonic’s line of 3D TVs now have prices. The sets are due out in May are predicted to cost between $2,599 and $4,299. Ever since the movie Avatar went from being merely successful to being wildly successful, manufacturers that have long since had 3D technology at their disposal, have been pushing the introduction of 3D TVs with vigor. And the public seems ready and willing to give it a try. Recently, we have seen new models, new technologies and even heard promises of 3D channels being offered with digital cable packages. The technology is ready, and it is prepared to blow you away. For a price. The 50-inch model will cost $2,599.95, 54-inches will run you $2,999.95, a 58-inch set is listed at $3,399.95, and the 65-inch set will cost $4299.95. The 50 and 54-inch models will ship in May, while the 58 and 65-inch are due in June. All units will also feature top of the line 1080p HD. 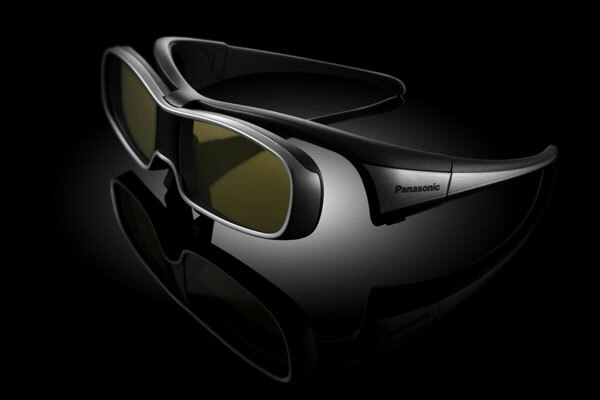 Each unit will ship with one set of the “3D active shutter eyewear”, but additional sets will run $149.95 each. It’s coming. Are you ready? We walk through some of the most commonly asked questions to help 3D TV buyers prepare for the impending wave of TVs set to his the market later this year. Can I buy a 3D TV today? Yes, actually. A number of “3D-ready” (meaning they might not come bundled with glasses) plasma and DLP televisions have actually been creeping out from manufacturers since 2007, but without the marketing, hype or 3D content that arrived this year, they’ve largely flown under radar. 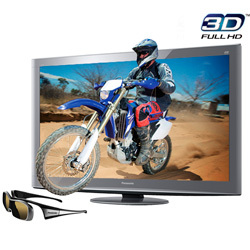 You can find a full list of currently available TVs from Mitsubishi and Samsung at 3DMovieList. Release dates and pricing on all of these models remain quite vague. Panasonic and LG should be among the first to market in the spring, while Toshiba, Sony, Samsung and Vizio will follow this summer. 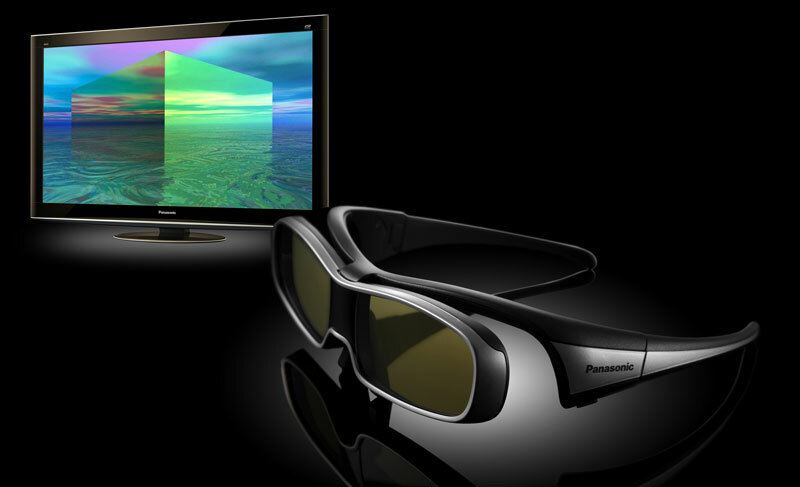 Unlike movie theaters, which use polarized glasses, 3D TVs use active shutter LCD glasses. This means a tiny transmitter inside actually communicates with the TV to block your left eye when an image for the right eye is on the screen, and vice versa, 120 times per second. This rapid-fire trickery requires electronics and a small battery, making them heavier and bulkier than the Buddy Holly glasses you may have used in a 3D cinema. Although most 3D TVs will come with a pair of glasses, you should also be prepared to buy additional pairs unless you really plan on sitting in your basement watching Cloudy with a Chance of Meatballs all by yourself. Although not all manufacturers have announced pricing for the glasses that will pair with the new models, don’t expect them to be cheap. Samsung, which already has 3D displays on the market, charges $130 for a pair of its rather dorky 3D shades. Nvidia charges $149. Even if the TV you buy comes with a two pairs, that’s another $260 to get the kids on board, and more if you want to invite the neighbors over to gloat. Make sure to factor the price into your purchase. What will I be able to watch in 3D? To be frank, not that much, right off the bat. Although standards for generating and distributing video in 3D have expanded, the market is still pretty slim at the moment. Your best bet will lie in 3D Blu-ray movies. Manufacturers only recently ratified a 3D standard for Blu-ray, which means these movies are still a ways down the pipe, but cartoons like Cloudy with a Chance of Meatballs andMonsters vs. Aliens are already confirmed for 2010. Some TVs, such as Toshiba’s ZX900 Cell TVs and Samsung’s LED9000, will actually be able to generate 3D content from 2D content as well. Although the artificial 3D effect from this method clearly won’t look as good as native 3D (in our demo at CES, it looked a bit like cutouts from a pop-up book, and the rendering tech causes some people to have halos around them), we still think it will be an extremely useful feature while 3D remains immature, and content scarce. Television stations will start to offer 3D content soon, too. DirecTV will fire up three 3D stations in 2010, ESPN will broadcast select games in 3D, and Sony and IMAX are slated to start their own 3D nature channel. Unfortunately, many of the specifics remain quite vague now, so you may be better off waiting for more information before committing to any one provider. Do I need a special Blu-ray player for those 3D Blu-ray discs? So far, it doesn’t look like any previous Blu-ray players will be upgradable, except Sony’s PlayStation 3, which should get a firmware update to make it happen sometime this year. At the moment, a certified HMDI 1.4 cable is the only way to carry a 3D signal. That means that your existing HDMI 1.3 cables (which have been the standard since 2006) won’t do the job. A new cable isn’t much of an upgrade investment, but keep in mind that other HDMI accessories won’t work, either, including A/V receivers. If you plan to pass your video signal through a receiver with HDMI, Sony’s STR-DN1010 is currently the only model that will fit your needs. How big of a screen do I need? You may recall from our HDTV buyer’s guide that we dismissed the caveman “bigger is better” mentality when it comes to TVs, favoring one that fits the room instead. Well, grow out your unibrow and grab yourself a club, because the reverse is true with 3D. Let’s state this bluntly: You need a big TV to appreciate 3D. Immersion is the name of the game, and the more the screen fills your field of view, the more you feel like you’re “there.” Fortunately, TV manufacturers seem to realize this as well, since we haven’t seen a single 3D set under 42 inches. If you have the extra money to throw at a luxury like 3D TV, make sure to go all the way and buy the largest screen you can reasonably afford or fit in a room, because it will drastically affect your 3D experience.